The Lions returned home to South Africa having produced their best run of road results in history, and having won a host of new admirers for their disciplined and hard-working way of playing. And that work ethic is a reflection of the man who leads the pack, Warren Whiteley, a man whose ascendant star is no longer unheralded. ESPN had the pleasure of talking to Warren Whiteley exclusively as he enjoyed a little downtime at home in Durban with his wife and 11-week-old daughter, the back-rower relaxing between the demands of four weeks on the road, in New Zealand and Australia, and a physical battering by the Bulls in a fierce South African Super Rugby derby at Ellis Park. We enjoyed the interview so much, considering Whiteley to be such an engaging interviewee, that we thought you, too, should enjoy every word of the chat rather than reading a parsed down version in a (no doubt wonderful and engaging) piece of prose. You returned to South Africa after a great tour Down Under, the best tour in Lions history with three wins in four games; did you do anything different in terms of coaching, playing structure, team bonding ... ? We spoke about it earlier in the week, and I think the biggest change for us is probably the maturity of the group. Last year most of the guys were touring for the first time, and this year we really got the balance right in growing our team with the new sights and sounds of the Gold Coast compared with last year when we probably overdid that. The balance this year was really good between doing that and playing and focusing on rugby. The guys showed a lot more maturity this year. They knew they were there to do a job and it really proved on the field. And when your together for four weeks on a tour, you grow tighter as a group. Definitely. It's the first time we've toured so early, as well: the first time I have; and at the Lions it's the first time in quite a while. And it came really at the right time for us. We had a slow start to Super Rugby; we came close in one or two games, but we always had the belief that we were really close to a winning performance and we knew we were good enough. And against the Blues, it was a massive turnaround for us. To win that game, especially in the circumstances of no possession and no territory, to scrape that one through - the guys really go a lot of confidence from that; it really set the tone for the tour as a whole. That was definitely the biggest change, just the maturity of the guys in the second year of being together as a group from being relegated - this is just our second year together in Super Rugby - and that counts really for a lot. You've returned home and you've got a big game this weekend with local rivals on the veldt, the Bulls; each time wants to win every game you go out and play, but is there a sense that this game is really important for you in terms of maintaining momentum from the tour and wining in South Africa for the first time this season? I'd definitely agree with that, especially as we had that slow start and we lost those two games at home. We've done well now on the road but we obviously really want to prove that we can play well at home as well. Any side wants to make their home field a bit of a fortress, and we managed to do that last year - at the back-end of Super Rugby last year we put some really good performances together on our home field - and for us it's really important to do that this weekend against the Bulls. It's a massive challenge. They've really proved in their last couple of performances they've proved their one of the form sides in the competition - and last week their performance against the Crusaders was phenomenal in their usual set-piece and physical dominance. But one thing they've definitely improved on is their attacking mindset: they're definitely running the ball a bit more and attacking space a bit better than previous years, and that makes them especially dangerous. It's a massive challenge for us this weekend, but there's nothing better than a local derby with that extra bit of excitement to the game. You're right. We don't want to get too ahead of ourselves but with the successful tour we've put ourselves in a position where we've almost, how can I say, "neutralised" our slow start to Super Rugby and we've got a couple of home games coming up; we've almost put our fate in our own hands again by having a successful tour. But that definitely doesn't limit the massive challenge that lies ahead - first of all playing the Bulls at home this weekend. We've got two weekends yet before our bye and these two weekends are especially really important to put ourselves in a good position after round nine/ It's in our hands, and that's really nice as a team to know. We can gain confidence out of the tour but we definitely do need to put that behind us now and focus on No.1 the Bulls this weekend and the two games before the bye. They are both home games as well, which makes them a bit more important because you need to win your home games. Fans in Australia and New Zealand who perhaps don't so the Lions so often were most impressed by your defence on tour; it was absolutely outstanding. Is that something you have worked on particularly hard as a team, and has much changed structurally since last season? You are getting through an amazing amount of defensive work individually; is the physical contact something you've always enjoyed right back to your days as a younger player in the backs and back to childhood? It is probably something I grew up enjoying through most of my junior years as a back; only when I was about 16 did I move to loose forward. I used to do cross-country when I was younger, and athletics, and my dad used to train me, and I've always enjoyed running. Rugby was almost chasing a ball to me, especially in my younger years; it was just so much fun. And work-rate really got installed in me from a young age as a rugby player, to have a high work-rate, just to put effort into anything you do. And not just defensively. If the game demands that you put the work in defensively then you have to work defensively. If you've got more possession then you're able to attack more with ball - whether that's ball carries or linking with the backs. Whatever that specific game demands, having a high work-rate is something instilled in me from a young age. Coming back to your question, it is something that I do pride myself on, and I enjoy as well. I love the game, and I really do enjoy just running around with good mates and having fun because at the end of the day I love the game of rugby. You're personally in great form: would you call it career-best form? Well, jeepers, you almost don't want to say that. You always want to keep improving, and every season I want to be able to say that. I would like to say this is my career-best. I just think the last two years have been fantastic for our union, and also for the players to play at this level. 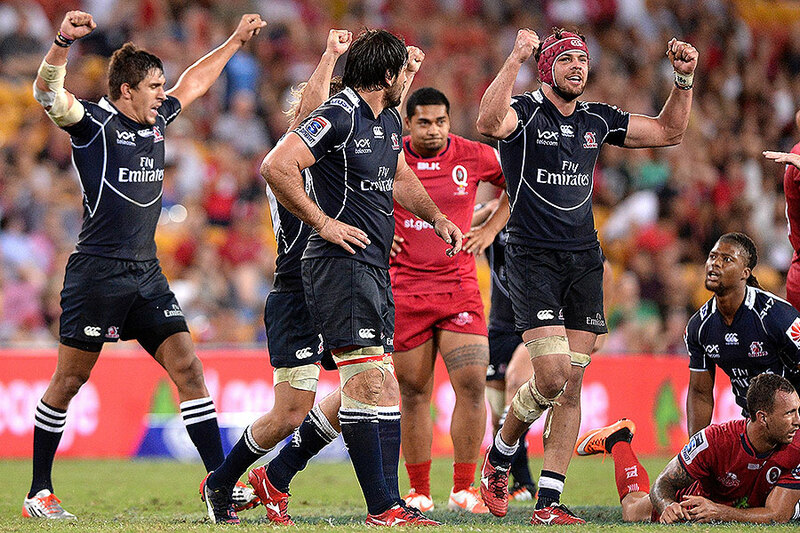 We know how it feels to be out in the wilderness and not play Super Rugby. That year [after relegation from Super Rugby and before re-admission through a two-legged play-off] was sad for us. You really appreciate being back in Super Rugby, and really start competing against the best sides. We don't just want to be that placed 10 side; we want to get into the top half and we really want to start competing with the top teams. That is the goal going forward, for an individual as well, coming back to your question. You just want to keep improving each season and that is ultimately my goal. I'm by no means the perfect No.8 and, every single player, the only way you do improve in your game is by having that desire to get better week in and week out. You gave an interview with SA Rugby Magazine just under a year ago when you said "I need to get better in the contact situation, I'm more of a linking No.8, and not traditionally the kind of player [Springboks coach] Heyneke Meyer is looking for". How have you developed personally with regard to that statement? It's always been something I've had to work on, but it's you've got to be careful as a player not to box yourself. I don't want to just go out and decide "Oh my word, this is what the coach is looking for". You've also got to also play to your strengths and still be the player you want to be. I believe that is when you play your best rugby. I was very fortunate to work with Heyneke Meyer last year when I managed to get into the Boks squad, and it was amazing just to talk to him and hear him share some thoughts with me and how much freedom he gave me just to play my game. Ultimately he told me "the only way you're going to be the best you can be is to have that confidence in yourself and play the game you were made to play". So, yes, it's definitely something to work on, but it always has been. As you mentioned, I'm not traditionally the coming-around-the-corner, running-straight No.8; I'm more the linking No.8, and I really enjoy being that link between the backs and the forwards and running wide in the wider channels. I definitely want to keep that but also improve in those other situations. 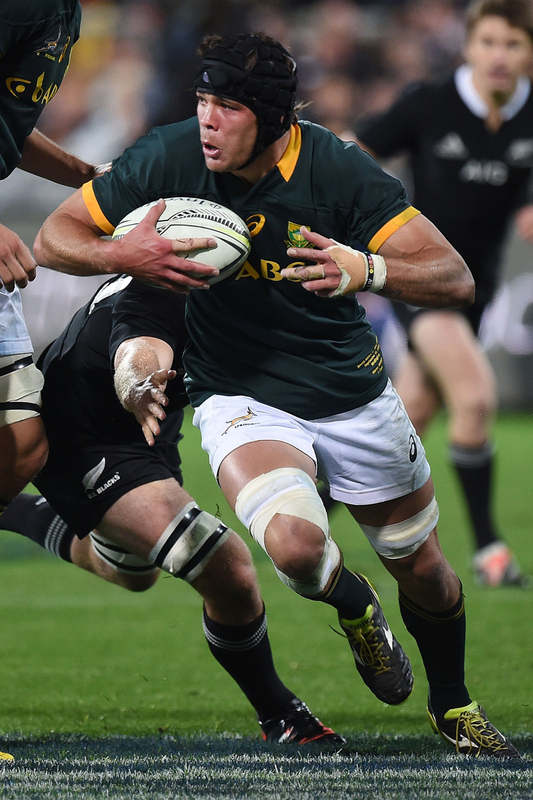 Personally, you're clearly looking forward to the Rugby World Cup, with one eye on being in the Springboks squad. South Africa has incredibly strong competition in the back-row and the eightmen, and you've said before that your spell in the Blitzbokke Sevens team that really turned you on to say you really thought you were good enough to play at Test level. It's always exciting a World Cup year; any player, the ultimate dream is to go to a World Cup. But my focus this year, and how I approached this season, was ... you can't say I haven't thought of that but I've tried to put all my focus and all my energy into the Super Rugby campaign. To be honest with you, I'm not a starting Springbok so I can't rely on past reputation to get into the side; I need to play well and play myself into that side, and the only way you do that is by focussing on the Super Rugby campaign and putting good performances together. And that's where my focus has been, with the Lions and with the team that we have; I really enjoy playing for this team, and I really believe it's a special group that we have. And I think that also brings the best out of me, as well, when you have that passion to play within a team. I can't say it's not a goal; I would love to go to the World Cup, but I've put all my focus on the Super Rugby campaign and wanting to contribute to the side and play my part in making a successful season. You've spoken before of your passion for the Lions, that you moved there, and stayed there when they did get relegated, with the aim of get back into Super Rugby; what does that decision, particularly the decision to stay when you had offers to move to other Super Rugby teams, say about you as a man and as a character? It was actually an easy decision for me. I remember during that period that there were one or two guys who did go and play for other unions, and there was an opportunity for me to go and play some Super Rugby, but I guess it was a burning desire to stay where I was and something was telling me this was a special group. I remember at the time, we had a Vodacom Cup competition below Super Rugby and the Currie Cup - a lot of our younger players play in it - and it was an important competition for us ... there's so much else to tell. 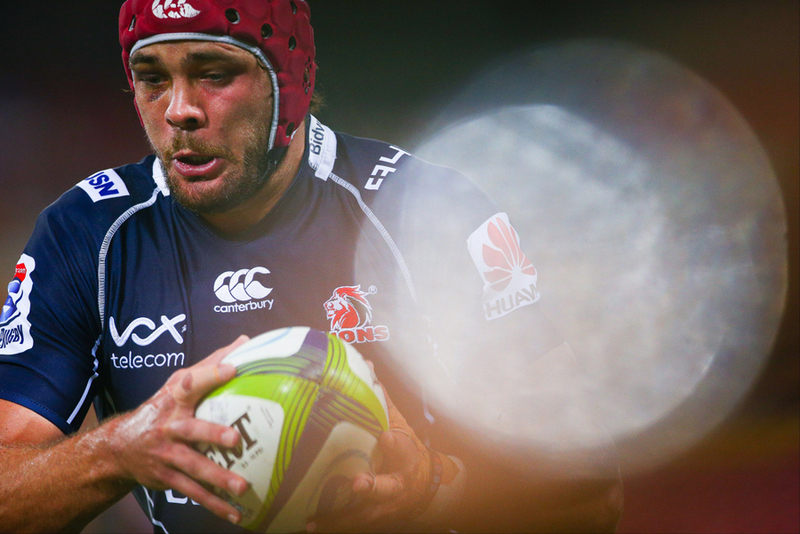 We weren't initially going to play in the Vodacom Cup. 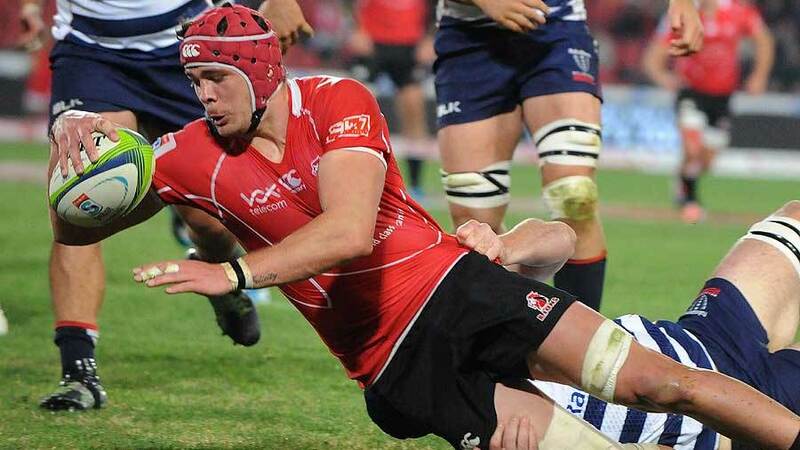 We were going to go on extensive tours to American and play in something called the Lions Challenge, but slowly things started falling away and the Vodacom Cup became our primary competition. We started out, and we started doing really well. We started putting some great performances together. We played against a Sharks side with a number of their Super Rugby guys, and we put some really good performances together. Our goal was to win the competition, and at that stage I just felt like I wanted to play for this side. I couldn't pull out now. And again, even then I could feel it was a special group that could take the union forward and become something special. We won the Vodacom Cup that year. I don't regret it at all. 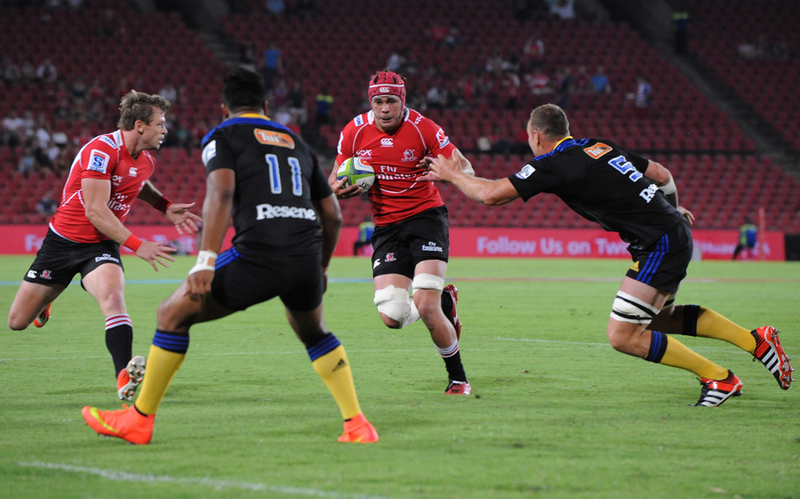 It was fantastic for me and I think that's when coach Akies [Johan Ackerman] started me captaining the side as well. And I really enjoyed the challenge of captaincy and making decision on the field and high-pressure situations; I really enjoyed that, and I think I learned from that campaign. Locking back, I think if I did go maybe I'd have missed out. I'm very grateful for that period. I think as a union, we learned a lot from that year out of Super Rugby. It's really important as an individual and in a team environment to have core values; they shape us all in our everyday life. Our core values pretty much decide what decision you make. Our core values have a massive impact on life. My parents, I have to give a massive thank you for that. They really established those core values within me from a young age, and I'm really grateful for that. There's so many, but respect has always been a massive one for me, and a massive core value, and it's something my parents taught me from a young age. Not just having respect for yourself - that's important- but respecting others and respecting people's differences because in society today there's so many different people, different cultures, different religions and we need to all respect that. Family has always been important to me; it's not so much a value but it's just something I think shapes your life. And family brings such motivation. With the birth of our first girl, she's about 11 weeks - jeepers, it's just been amazing; it really just turns your life around. It's just such an amazing thing. And we've been on tour and I haven't seen my wife so I've flown down to Durban in our two days off - I'm here in Durban, as we speak - but coming back to your question: respect is the biggest one for me in my life, and it's something that has always come up, especially respecting others and others for their differences. Also in rugby, the team dynamics and how important that respect is because everyone is different. And how do you get the best out of every single player? How do you understand their differences? And how do you get people together for a common purpose and a common goal? And how do you get them to give their best every single week? That's always been very interesting to me. And I think as a captain, I want to have a relationship with every single individual. I want to understand each and every player, and have a relationship with them, and understand their differences. What are their strengths? How do you approach someone? You know, some people's motivations are different in life. Some people, you can chat them up and almost challenge them - and that brings the best out of them. With others, you motivate them and that brings the best out of them. That's always been interesting for me, that dynamic.